It’s pretty common on cruise ships at just about every port of call! Passengers being late to get back on board or missing the ship’s departure completely. You’ll often see fellow guests running down the pier and then all the other passengers clapping and watching them get embarrassed. In the cruise industry, they are known as Pier Runners! One of the most important things to do before you leave the ship is to set your watch time to ships time. Do it as soon as you first step onboard. You’ll be able to get the correct ships time from the information desk or by asking the ship’s staff. Only adjust your watch and don’t adjust your phone. Your mobile phones time may change automatically without you knowing while you’re in international waters so just try to ignore your phones time if you’re using it while cruising. While we are on the subject of the phone also turn off any roaming as it may cost you a lot of money. 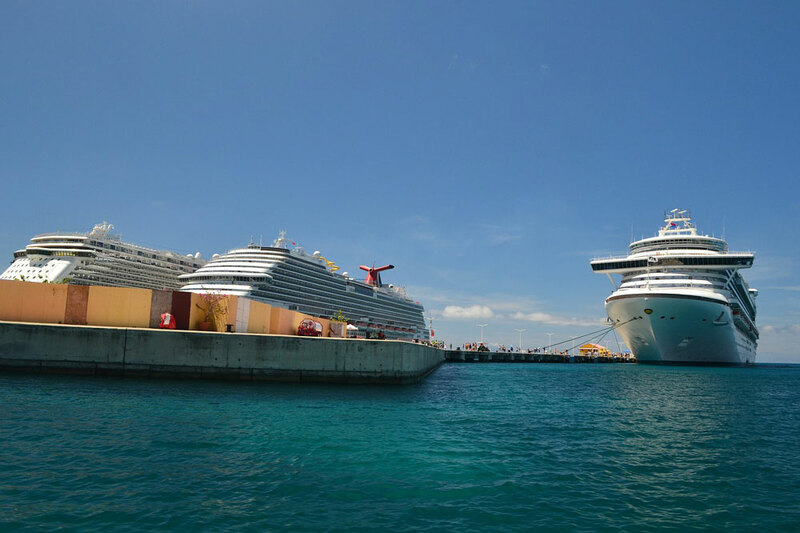 once you’ve changed your time to ships time keep checking cruise information for any time-zone changes. The best way to keep informed is by the information desk or information channels on your stateroom TV. We’ve got a video below which is a perfect example of when passengers are late for their ship but in this case, fellow guests are booing instead of clapping! Make sure your visit to the port of call is planned well and you know what you’re doing at least the day before which may include any shore excursions. 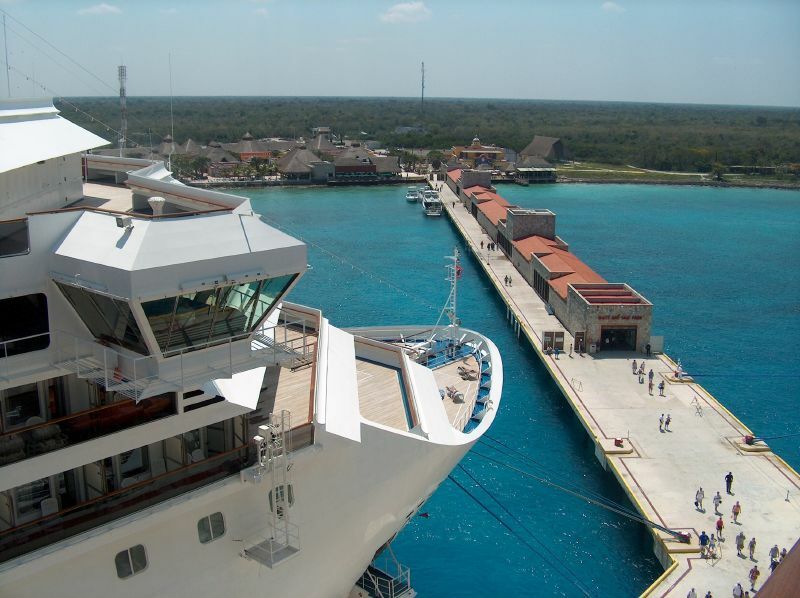 Booking shore tours through the cruise line will always guarantee that you’ll be back in time before departure and if you’re not the ship will most often wait as it was booked through them. If you booking a shore tour independently and your late getting back then the ship will probably set sail without you. Always check with the tour desk for the specific details when booking your cruise shore excursion. Allow enough time for things like shopping and eating but most of the time these things can be done near the ship. Whatever you do, try not to drink too much! yes, its easy to have fun in port with all the Margaritas and Pina Colada’s but it can make you lose track of time more than you know. Staying with a group of friends or family will be good so at least one person can keep track of time while you’re having fun in a place like Senior Frogs or Fat Tuesdays. The cruise line usually provides all passengers with a port information guide which will have a map of the port and important contact details if something was to happen. Make sure you keep this guide with you at all times so you can also contact people at the port if your running late or something has happened. By looking at the map you’ll also have an idea how long it will take to get to a certain destination. We hope some of these tips will help you from not missing your ship on your next cruise! If you have any other tips or advice to make the ship on time then feel free to post in the comments below or at our Cruise Tips & Advice Forum.